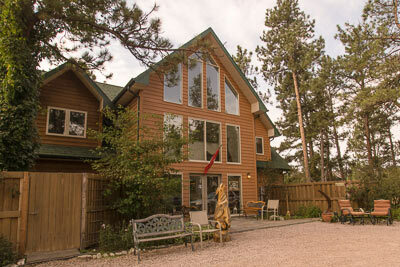 Located 14 miles north of Hill City, Coyote Village Blues B&B (605-574-4477, www.coyotebluesvillage.com), offers a secluded retreat in South Dakota’s scenic Black Hills. The brainchild of Christine and Hanspeter Streich, the property is located on 30 wooded acres, about one mile off the main road. And that’s part of the beauty of it all — it’s definitely off-the-beaten-path. There is level access to the main house from the adjacent parking lot, with barrier-free access to the Mediterranean Room. Although there’s plenty of room to park near the front entrance, there aren’t any designated parking spaces. 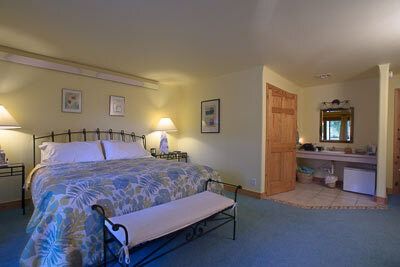 The Mediterranean Room features wide doorways, good pathway access and is furnished with a king-sized bed. The bathroom is equipped with a tub/shower combination with grab bars and a hand-held showerhead; however the toilet lacks grab bars. 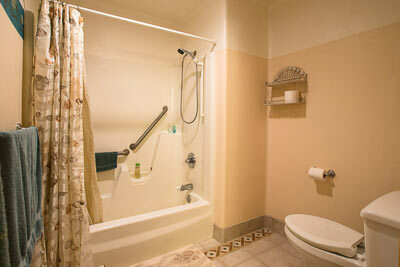 A roll-under sink with a spacious counter is located just outside the bathroom. 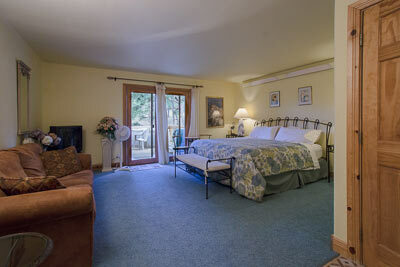 There is a one-inch step down to the private back porch, which has chairs and a hot tub. It’s a great place to stargaze, or to enjoy a cup of coffee in the morning. Christine and Hanspeter cook up a European-style breakfast every morning, which includes Müesli, cheese and deli meats, home-cured olives, fresh baked breads and an egg dish. Says Christine, “We prepare wholesome, delicious food inspired by our European background.” There is barrier-free access to the dining room and the back porch, where breakfast is served. Coyote Village Blues B&B is within a short drive of all the major Black Hills sites, including Mount Rushmore, Custer State Park and the Crazy Horse Memorial. Additionally, it’s not unusual to see wildlife on the way to the property. In fact, I spotted some big horn sheep on Highway 385, between Highway 16 and Taylor Road. They were right in the middle of the road, and they didn’t seem in a hurry to move on. So keep your eyes open — you never know what you’ll spot. And keep your camera handy in the front seat too, so you can catch your sightings on film. ‹ Bootleggers, Beans and Scenic Beauty Along Tennessee’s Thunder Road	› A Caving We Will Go!